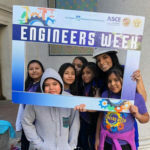 National Engineers Week 2016 is Feb. 21-27, and the ASCE community is ready to celebrate. 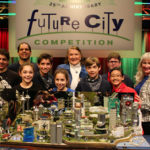 Sections and Branches around the world have EWeek programs planned – from the Los Angeles Section’s annual popsicle-bridge competition to the Pittsburgh Section’s civil engineering display at the Carnegie Science Center to the Nebraska Section’s EWeek School Blitz. “EWeek is a time when we communicate to the public what engineers do,” said Nebraska Section President Joseph Flaxbeard, P.E., M.ASCE, a senior project engineer for Lamp, Rynearson and Associates. 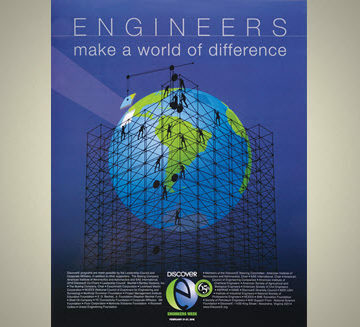 ASCE is among more than 70 societies working with the DiscoverE foundation on EWeek programs. 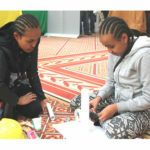 Two of the week’s mainstay events are Global Day of the Engineer (Wednesday, Feb. 24), celebrating engineering accomplishments with a particular attention to engaging young students, and Girl Day (Thursday, Feb. 25), highlighting the many women engineers who serve as role models to the next generation of girls who want to study engineering. If you or your local ASCE group still haven’t finalized plans for the week, ASCE has a variety of suggestions and resources to make your event a success. 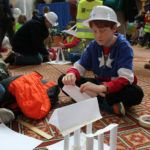 Among its EWeek events, the National Capital Section is participating in Engineering Family Day at the National Building Museum in Washington, DC. The Section has been involved with the event for nearly 20 years. This year they are presenting an educational activity about earthquake liquefaction.